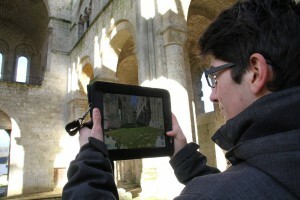 Discover on site the reconstitution of Jumièges Abbey as it was before its destruction. Thanks to enhanced reality techniques. It is thus possible to superimpose 3D images in 360° on the view of the current ruins. The effect is breathtaking, and travelling back in time thus becomes child’s play thanks to a simple interface. It has been designated the world’s best cultural app (UNESCO). 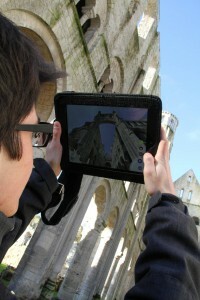 The app is available for the iPad on site, at the abbey entrance for 5 Euros. Available in French, English, German and Italian.